To learn more and to receive your free information kit, please fill out this form or give us a call. The information you have provided will be used solely for the fulfillment of your request. 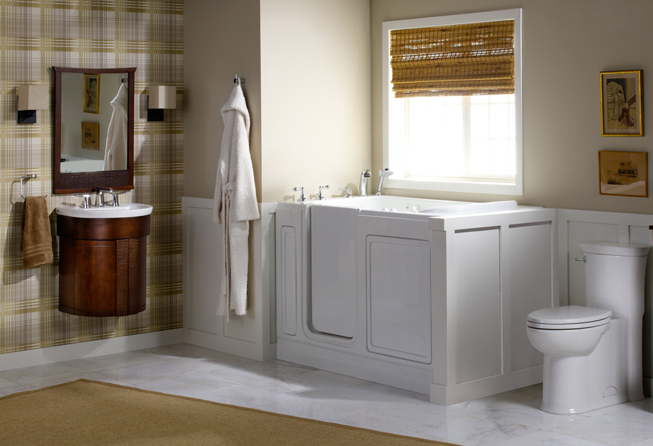 The Perfect Bathroom. 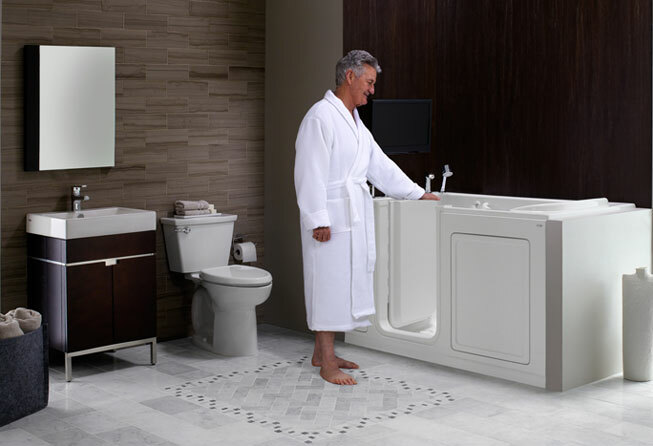 Safe and Accessible. 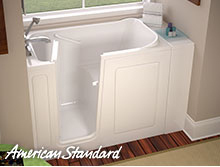 Did you know that 70% of all home accidents occur in the bathroom? 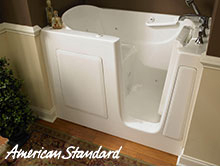 Many seniors fear taking a bath for just this reason because the next step after a serious fall can be a nursing home. 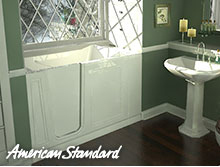 Stay independent with American Standard, a brand that has been improving bathrooms for over 130 years. 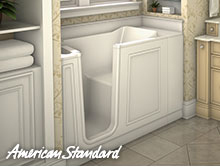 Our Walk-in Baths are designed with your needs in mind. 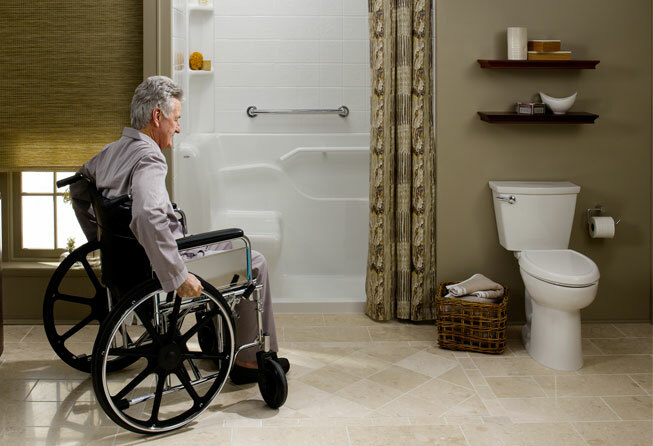 An easy access door with lifetime warranty on the seal, a low step in height, a comfortable, chair height seat, and a built in grab bar helps you get in and out with ease. 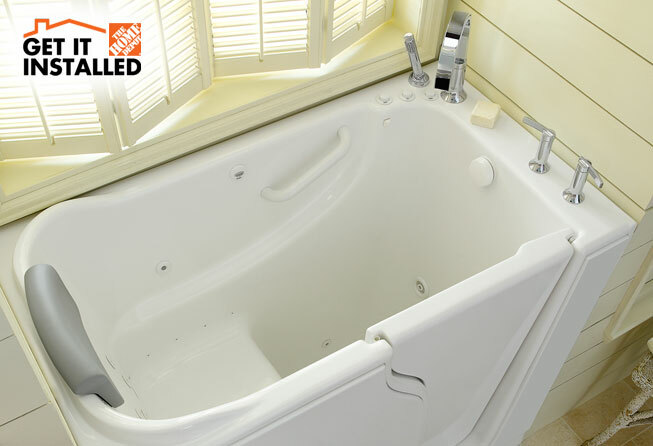 Plus, our exclusive Quick Drain® allows the bath to drain in less than 2 minutes! 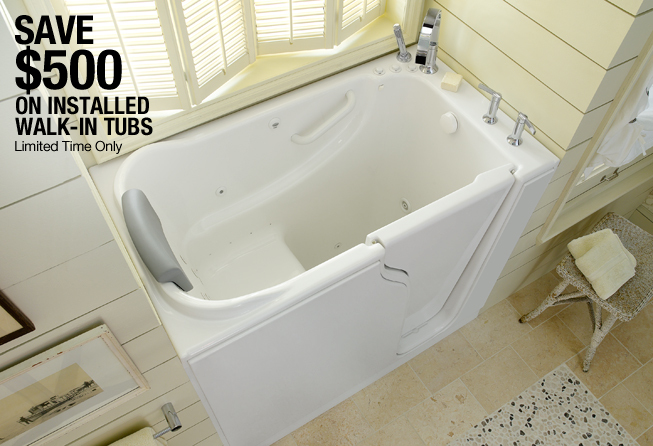 With our professional installation you can have your bathroom finished in as little as 2 days. 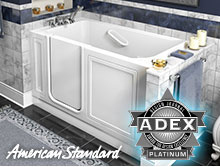 Trust your independence and safety to a brand that is in millions of homes in America.